CEREC 3D, Latest Dental Technologies, Sirona, Industrial Ceramic Cad/Cam Technology, Dentistry C. David Hemp DDS, Doc Hemp. 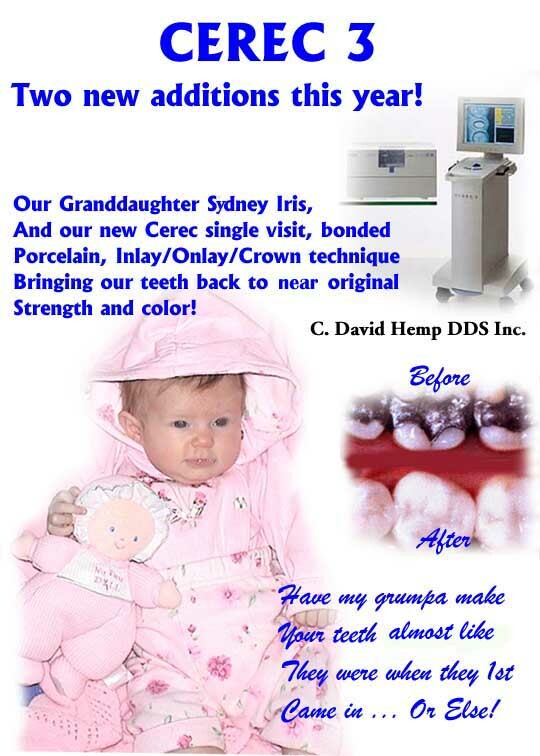 C. David Hemp DDS Inc.
Cerec 3D is Unleashed 3/03! "Contempt for others is bred by Conceit!" Cerec 3 - 3D, the phenomenally accurate, CONSERVATIVE, computerized single visit porcelain (no impression) Veneer, Inlay/Onlay, 3/4 and full Crown tooth restoration system! .. A powdered (and now non powdered) image of the tooth from a cad/cam 3D camera accurate to 25 microns is sent to a milling machine accurate to 25microns which is closer than we need as per fusion space. The dentistry of tomorrow is finally here today! Championed by those progressive dentists (regardless of age) willing to learn new technologies and willing to re-invest their time and very substantial sums of money into the latest dental equipment for their patients, (and themselves) ... Like Cerec, Digital Xrays, Inta-Oral Cameras, New Sirona Digital Panos, Micro Air Abrasion, and lasers, etc. We as dentists spend a huge part of our lives in our offices, why not surround ourselves with best technologies possible as our practices grow? Look forward to going to work! 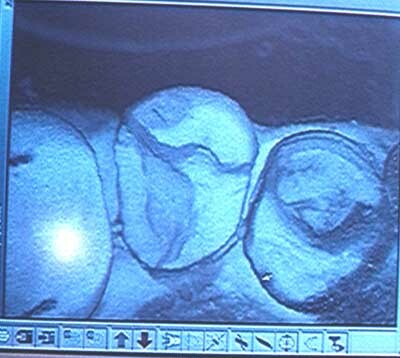 The purpose for me of Cerec is to save as much original tooth structure that we can. 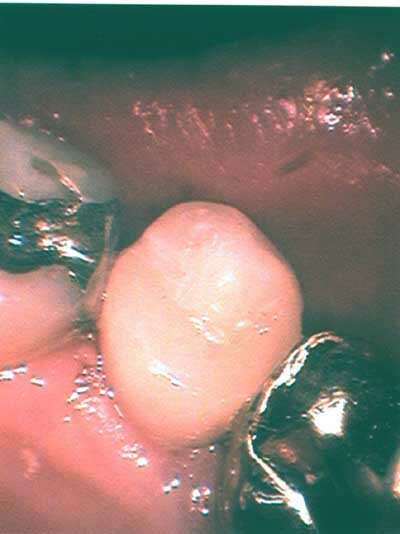 Remove all of any old filling material and replace that and the fractured portion with very strong Industrial Ceramic that is made in 4 micron particle sizes without micro spaces just as our own enamel rods are. These inlay/onlays are the most conservative if there is enough natural tooth left to do these. And the full crowns are so strong and bond so well pins and buildups are no longer needed. Werner Mormann graduated as a dentist from the University of Heidelberg and acquired his first doctoral honors with a thesis on the condensation of amalgam in 1969. He worked in private practice in the city of Mannheim and in the countryside in Schaan/Liechtenstein. From 1970 on he continuously lectured operative dentistry at the University of Zurich Dental School but parallel to that specialized in clinical periodontology completing a thesis on the gingival reaction to subgingival gold inlay margins. He used fluorescein angiography to study gingival blood supply after periodontal flap and graft procedures, as presented in a postdoctoral thesis, and produced 37 articles in the field of periodontology and preventive dentistry. 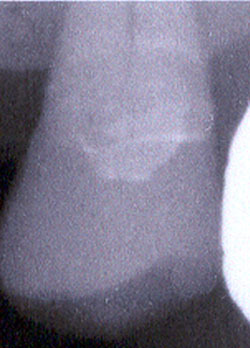 Early in 1980, Mormann anticipated the attraction of restoring posterior teeth with tooth-colored material instead of using amalgam or gold. He conducted studies and developed the clinical concept of bonded ceramic inlays, at the same time raising the issue of the fast fabrication of the ceramic restorations. He planned the idea of in-office CAD/CAM fabrication of ceramic restorations specifically to be used chair-side by the dentist to complete one or multiple ceramic restorations in a single appointment. The initial concept comprised a small mobile CAD/CAM unit integrating a computer, keyboard, track-ball, foot-pedal and opto-electronic mouth-camera as input devices, a monitor and a machining compartment as filed in a Swiss patent application together with the engineer Dr. Marco Brandestini, in December 1980. Together they solved the problems of fast 3D capturing of tooth preparations with a mouth-camera, the form-grinding of esthetic ceramic, the manufacture of ceramic blocks and scan powder, and completed the construction of the CEREC 1 hardware and first operating software during the years 1981 to 1985. To produce the first series of 25 CEREC 1 units they founded �Brains� Inc. with the Zurich based Proceq SA as a financial partner. Cooperation with Siemens started in 1986 and continued with Sirona since 1997. 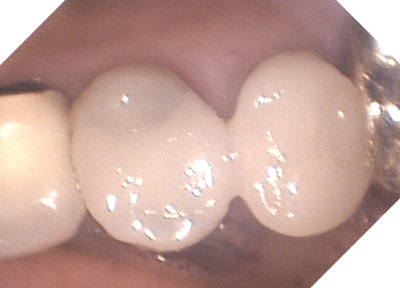 The original concept carried through CEREC 1 and 2 versions. In the year 2000 CEREC 3 divided the system into an acquisition/design and a separate machining unit. Also, the "CEREC InLab", the machining unit equipped with a laser scanner or using an extra-oral scanner (inEOS) can be operated in the dental laboratory with a personal computer. The new 3D software makes the handling illustrative and easy both in office and in the laboratory. Mormann is professor of operative dentistry, has published 100 articles and 10 books on chair-side CAD/CAM technology, related materials and clinical experience, and received the (Medical Faculty, U. of Zurich) and the Engel (Academy of Continuing Education, Karlsruhe, Germany) awards. 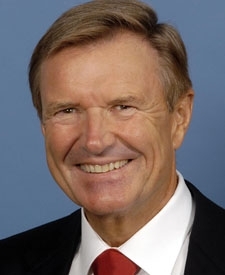 He is founder and president of the Foundation for the Advancement of Computerized Dentistry Zurich, Switzerland, has established the Division of Esthetic and Computer Restorations at the U. Zurich Dental School and is head of this division. Werner Mormann was born in Goppingen and raised in Mannheim, Germany, and lives with his wife, Jeanette, daughter Viviane and son Jan in Zurich, Switzerland. He loves skiing, hiking and wind-surfing. 3/11/06 ... 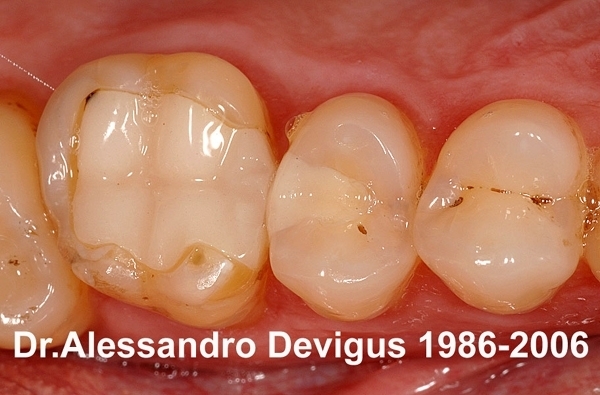 I have just added a couple photos of and from one of our Cerec colleagues .... Alessandro Devigus ... He owns the www.cerec.net web site Tell em Doc Hemp Sentcha! ... This is also a good site to find a Cerec dentist near you. Today he posted these photos of himself ... 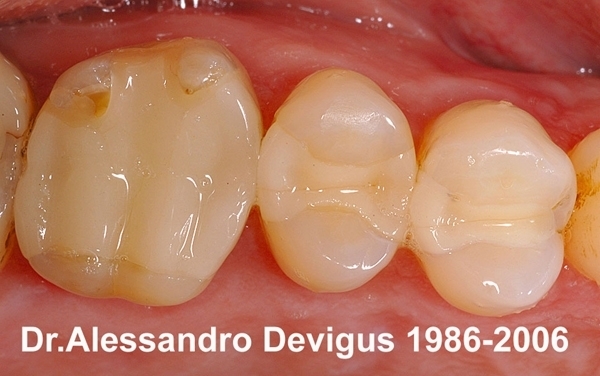 It does show the longevity of these Cerec restorations and why ours are doing so dang well. You must remember that this was in the year Cerec was invented and was made with one of the first Cerec prototype machines. The subsequent Cerec 2 & 3 machines have gotten even better. Below is the email and photo's Alessandro sent. Here are 5 CEREC inlays (showing both sides) I received in 1986 as a student at the Zurich dental school... the inlays where made with the yellow CEREC prototype... they don't look nice but they are still there ... and CEREC has improved over the last 20 years. 10/07 .... 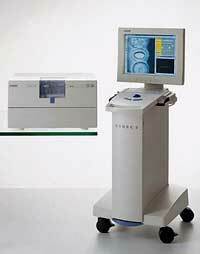 In fact I recently had Doc Mike do 3 Cerec's on me with the same above technics and there is ZERO sensitivity! And New (3/24/08) What to do if you get a "Milling Unit Not Ready" warning like I did this morning! The milled porcelain is the same hardness, thermocoeffiecent of expansion and 4 micron particle size as our natural enamel. 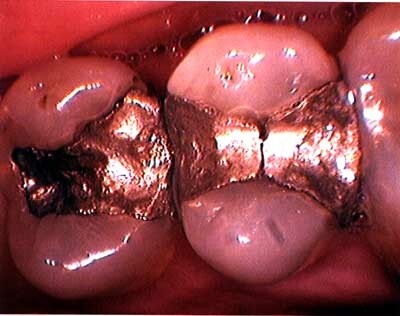 It is fused into and onto our damaged teeth with great strength and success! I love using it, especially instead of the old TMS pins and build up technic followed by the full coverage crowns! .. It is great for molars and bicuspids with one or more fractured cusps .... just remove 100% of the old amalgam and run your Cerec onlay over the missing cusp or cusps ... almost no build ups ever required any more, saving our Cerec patients these extra build up costs!! . 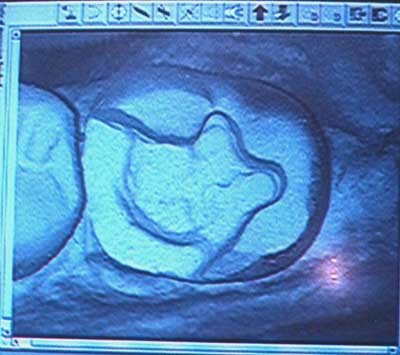 Below see .. some of our very first Cerec 2D Cases during our first week almost 14 years ago now. Some of the internal corners could have been rounded some more, but they have all fit very well! .. Sorry the photos are so poor, Accucam then scan = very opaque looking due to the polarizing light in the Accucam ... 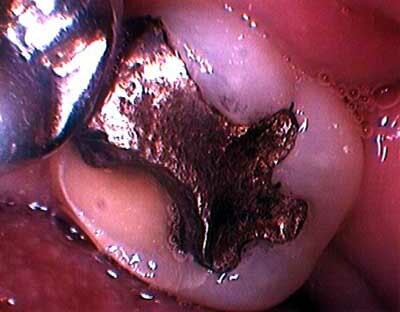 But in the mouth these restorations are invisible and just disappear into the tooth! Camelion Effect! They are a blast to do! The software is very good and easy to use now with the 3D .... just take your time and enjoy it! .. I did opt to minimize pronounced occlusal grooves in many cases to keep the porcelain as thick as possible, eliminate possible deep fracture lines for strength and to preserve maximum tooth structure. But .... when you have thickness, these are very easy to develop great occlusions with by analog milling with your diamonds (with the water on!) prevents micro fractures. 12/05 ... Staining the occlusal grooves of posterior teeth and glazing is really not necessary. Staining and glazing is usually to impress other dentists (that they hope will attend their lectures, buy their videos or equipment). Also .... 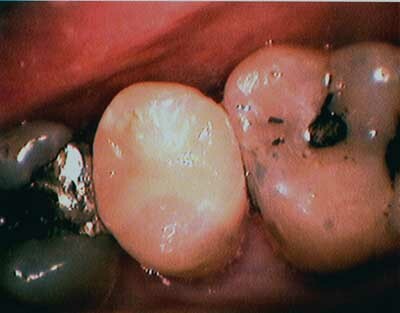 I save the Cerec milling dust to polish with. "If you put stain and glaze over poor work it is still poor work! ... If you put stain and glaze over good work it is still good work!" Another Doc Hemp useless quote ... grin ..
We have had ZERO sensitivity on teeth that weren't left a little high in occlusion or already sensitive and even they are better after a couple of weeks ... just like with our bondodontics ... Etch any exposed enamel, Clearfil S.E. Prime & Bond, Tetric Flow , Best long term results over 16 years in the mouth as per Dr. Mark Morin with over 20,000 Cerec's and less than 1% failure = fracture or chip! some more of the tooth. This above is a Powdered prep of my 2nd Cerec ever 2D software machine (the box angles could be more rounded) taken off the screen of the computer. In the past, I would have placed 4 TMS pins and Ti-Core Build up. And then the full crown. 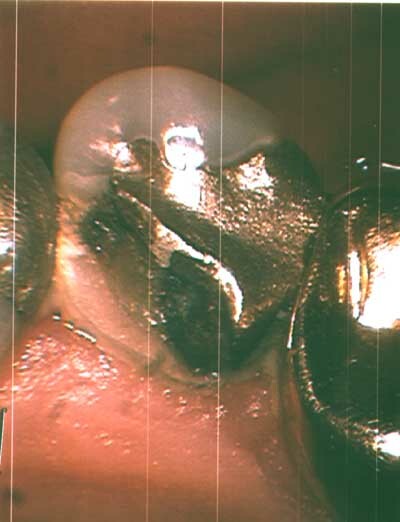 But, the Cerec just bonds into the prep as shown without a build up (saving the patient the old Pin & B.U. 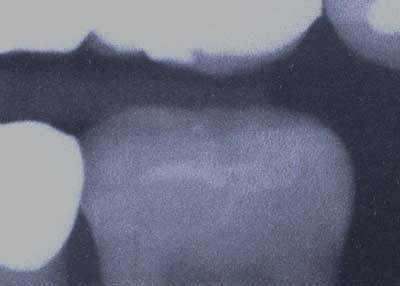 fee) or more exterior weakening tooth reduction necessary for a full crown. This is what Cerec means to me! Conservative Dentistry ... Fewer Crowns! If one is replacing a large failed amalgam and or one or two cusps fractured of a tooth or an old porcelain crown on a tooth that had major tooth reduction done already, a Cerec crown or inlay/onlay is a great option in my opinion. Raised the lingual cusp up a little in MR in Projection. 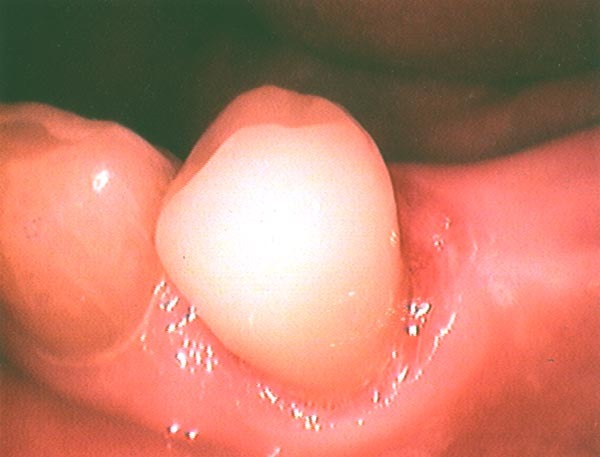 Below is a photo of a crown we did in June 03 .... the patient a bruxer had fractured off a long time bridge at the anterior abutment (attachment) just above the gingival (gum) line ... ( wasn't wearing her night guard) ... I cut the bridge off at the mesial of the posterior abutment crown ... prepped the fractured stump ... placed a preformed temporary over it .. adjusted the bite perfectly ... took a Cad/Cam photo of it and then removed it and took the image of the stump ... and the Cerec milled out a perfect crown shown below here .. no adjustments at all .... we are now in the process of placing 2 implant crowns where the pontics (old missing teeth on the bridge) were .. again .. sorry the photo is so bad as per after scan off the Accucam .. in the mouth this is absolutely perfect! I must say Sirona has done a wonderful job in designing this Cerec 3 - 2D and now the 3D! History will show they have revolutionized dentistry! They have some of the best engineers in the world! They have the best manufacturing in the world! Patterson Dental has taken the bull by the horns with this technology and run with it! Have invested millions and brought it to main stream dentistry. They should be applauded for this. After 47 1/2 years of dentistry and almost 73 yrs old I am still going strong and enjoying myself immensely! I know in the dental profession especially and in our USA society us old folks are looked on as dinosaurs and unworthy of any serious inclusion in our professions ... BUT that is okay .. I often just shake my head and smile and go on taking care of business and our fantastic family of patients and employees. I for one, plan on still doing dentistry into my 80th year if my health holds out. Here is a quote I ran across on the Cerec Chat group by William Davidson DDS which he gave me permission to use, which I think has merit in some cases. "Some people who put down CEREC need to do so to justify their decision not to make a large investment in bettering their patient care. No argument will convince someone who is being righteous to cover up being cheap!" The custom brochure I made just for our waiting room and our existing patients. The before and after is only an example .. not one of our own ... You can see a few of our very first ones we did above. The World's 1st International Cerec 3D Lecture. "During the first days of june 2003, 17 dentist from 7 different countries and 4 continents met in a secret place deep in the heart of Germany to learn all the tricks about the new 3D software!" .. Plus ... Many photos of the Rhine, Castles, German Cadillac Car Club! .. For other Cerec links and much more info! Another Doc Hemp original quote.